How Does a Claims Advocate Benefit Insurance Policyholders in Cincinnati? If you have ever had cause for complaint against an insurance company, you need an insurance agency that stands up for your rights as a policyholder! Call 513-662-7000 to speak with an agency that offers a Claims Advocacy Program™. How Does the Claims Advocacy Program™ Benefit Our Insurance Policyholders? A Claims Advocate simply means we stand up for your rights as a policyholder in the event a claim is not paid to your satisfaction! We will investigate to learn the reason for claim denials or delays. We will proactively provide assistance to claims departments to speed up the process so claims are paid faster. 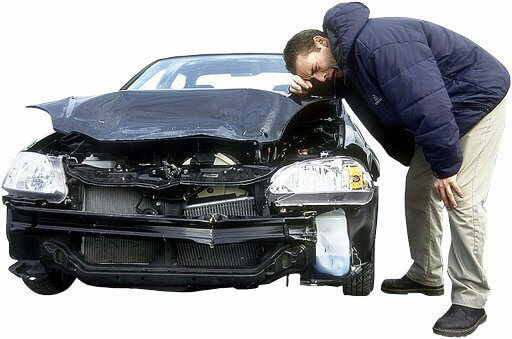 We have tracked down uninsured motorist and collected payments for our policyholders insurance companies refused to do because the collectible amount was too small. In 2010 one of his medical trucks was completely destroyed by a teenager who was texting and driving. The teenager was insured, but the responsible insurance company was lowballing the insurance settlement offer for the property damage. Jamie made us aware of the accident from the start. Losing his medical truck in addition to a significant amount of expensive medical equipment placed him in a bad situation to cover his workload for his business. To make matters worse the insurance company was offering him substantially less money for the claim. We actively negotiated with the insurance company. Within five days his claim was settled and he was reimbursed in full. We were able to secure an additional $5000 compared to what the insurance company was offering. We also cut in half the amount of time it takes to settle a claim this large, and Jamie was able to avoid loss of any business due to this unfortunate event. Let an Agency That Stands up for Their Clients Care for Your Insurance Needs! Contact Pathway Insurance Today by Calling 513-662-7000. *There are limitations to what we can offer with the Pathway Claims Advocacy Program. ™ For instance, we cannot provide legal advice as we are not licensed attorneys. We cannot overrule or overturn insurance company final claims decisions, especially on claim denials whereas the policyholder has engaged in some type of prohibited activity, or they did not purchase the appropriate coverage, or failed to add endorsements necessary to cover an incident that would normally be excluded from coverage. Please call 513-662-7000 for more details or questions about this service. Additionally if you have already secured the services of an attorney we cannot provide any assistance to you.